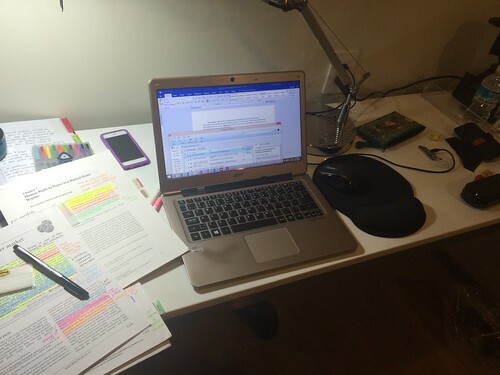 I’ve had a “want-to-do-can-do-can’t-do-wish-I-could-do” relationship with AcWriMo (the Academic Writing Month, first started as #AcBoWriMo, Academic Book Writing Month, in November of 2011, by Dr. Charlotte Frost (@PhD2Published on Twitter). On its sixth year now, November has become the month where fellow academics decide that they need to push hard to get some writing out. The timing isn’t ideal as academic semesters are nearing the end. #AcWriMo draws parallels from and is inspired by #NaNoWriMo (National Novel Writing Month, where you can write an entire novel during the month of November), something that might be feasible for fiction writers (or non-fiction who aren’t on an academic schedule) but becomes a huge hurdle for academics. THAT SAID, I strongly believe there are good reasons to do #AcWriMo. Particularly if you’re looking to build an academic writing practice. Practising is, from what I’ve seen, always at the core of any academic writing advice provider’s set of recommendations. In my view, creating a writing practice requires us to go back to the very foundation of what motivates us to do things. I became VERY good at what I did through repetition and training. I translate those lessons to writing. BUT YOU DON'T HAVE TO DO THE SAME. the pure joy of seeing my words out. For me, it is important to note that there’s huge heterogeneity in how people write. Whenever I offer any suggestions or advice in academic writing, I do it from the viewpoint of someone who was trained to repeat stuff until he did things right. For the N-th time, and I've said this everywhere I go: YOU DO YOU. Write every day, write every third day, write when you go on a retreat. The underlying basis for why I write every day comes from my life as a competitive athlete and a professional dancer. Practice, repetition. For me, it’s important to recognize that, while I champion repetition, there are a number of circumstances where predictive repetition will not work, as noted below. But still, I do believe that we can all find 15 minutes to write (Dr. Jo Van Every’s suggestion for building an academic practice) , as I note on the tweet below. The relevant message I want to bring home with this post, on Day 1 of Academic Writing Month, is the following: Not only that you should do you (i.e. you should adjust your writing processes to fit whatever suits YOU), but also that, should you desire to build an academic writing practice, you should start with reasonable goals and gradually build towards a specific goal you want to achieve. Start #AcWriMo on Day 1 by setting a specific goal for a project, and doing 15 minutes of writing on that project. Start Day 2 with 15 minutes of writing, again. Continue until you complete one week. If comfortable, build to up to 30 minutes a day of writing. 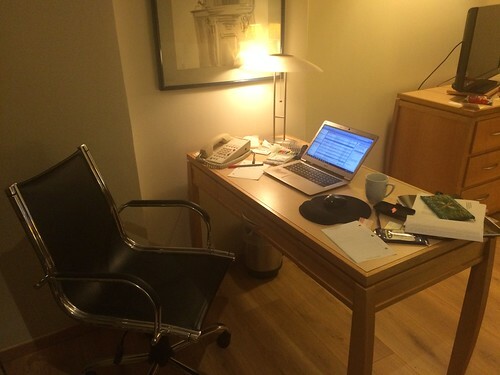 If comfortable, build up to 45 minutes a day of writing. By the end of the month, you will probably be up to 1 hour per day of writing, or (perhaps also doable for you), 4 blocks of 15 minutes throughout the day. But again, you probably want to do this, slowly and gradually. That’s how I created and sustained my writing practice, that’s how I switched from being a night owl to waking up at 4 am and write. This gradual process of adjusting to a new writing practice may be useful to you too. Another way in which I believe you could gradually build an academic writing practice is by following Dr. Wendy Laura Belcher’s Writing Your Journal Article in 12 Weeks‘ approach. This process goes obviously beyond #AcWriMo, but I strongly believe you can use at least the first four weeks to build the approach and then continue moving forward. The important thing, which I stress again in this blog post, I believe any writing practice should be built GRADUALLY. Tagged with academic writing, AcWriMo, writing.